Manning Wardle 0-6-2T, Works No. 1877 of 1915, "Chevallier" simmers amidst the mountains of paper near Ridham Dock, on the Bowater's system. 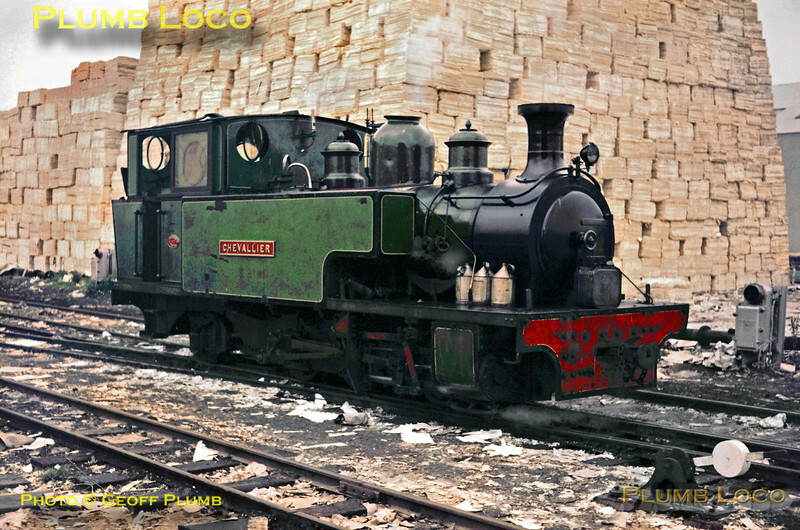 The loco was originally based on the Chattenden & Upnor naval railway and was sold to Bowater's in 1950. It subsequently moved to the Great Whipsnade Railway and is now owned by Bill Parker. Saturday 21st September 1963. Slide No. 401.